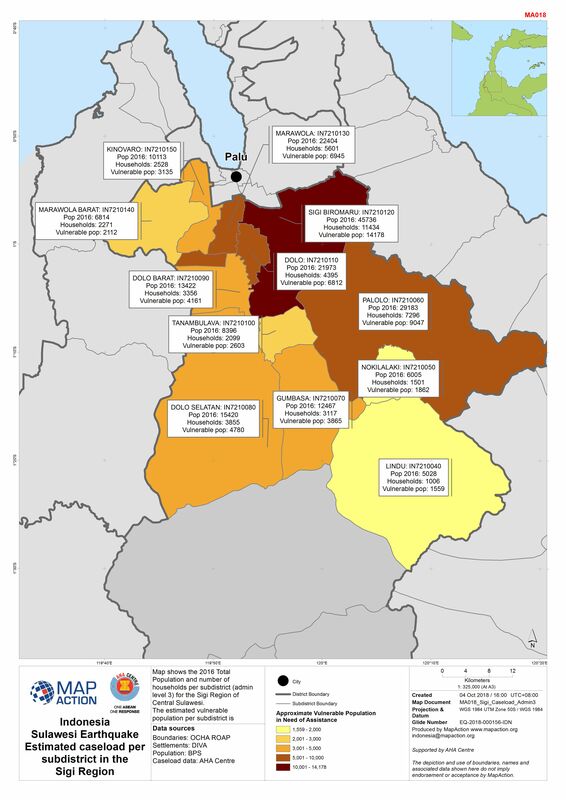 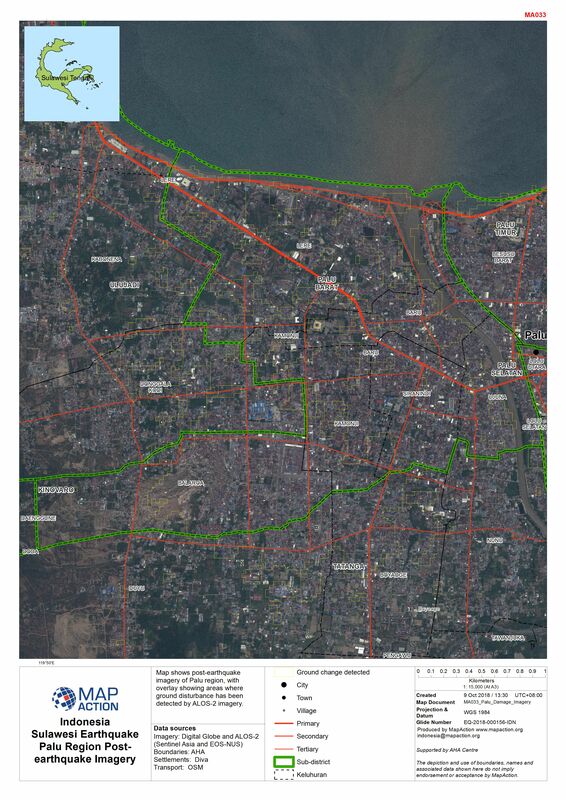 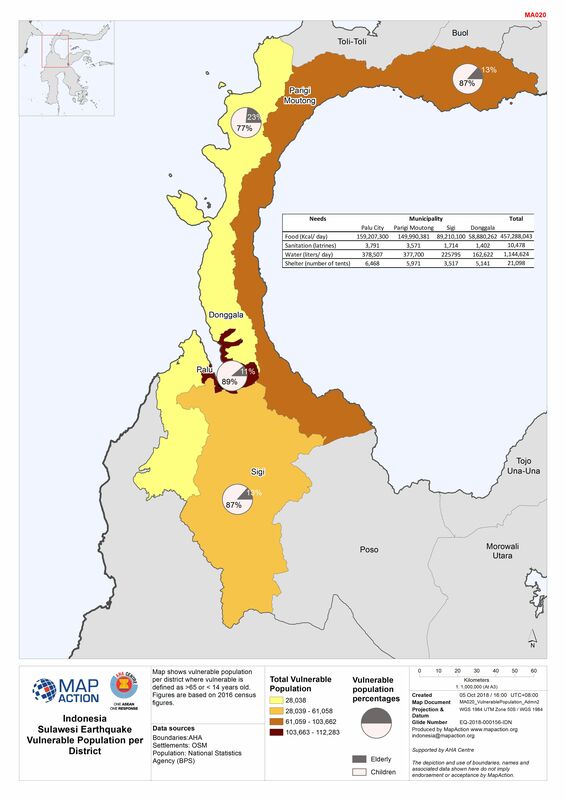 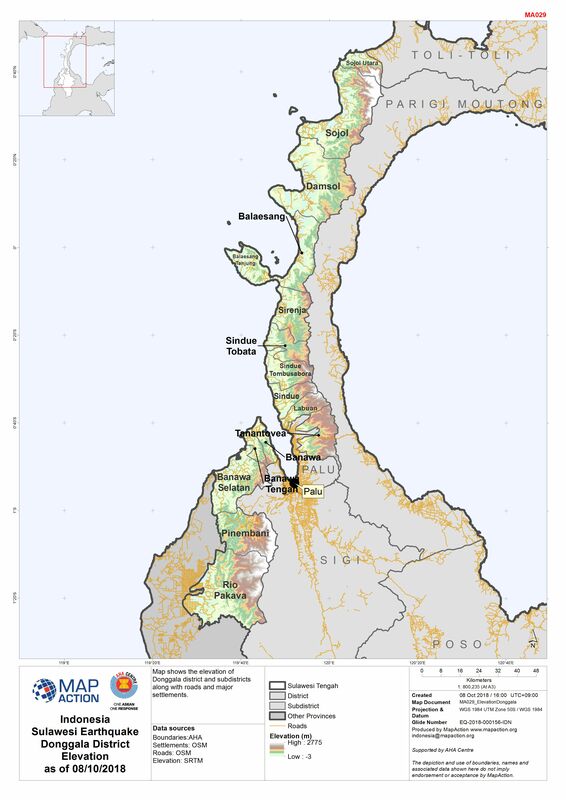 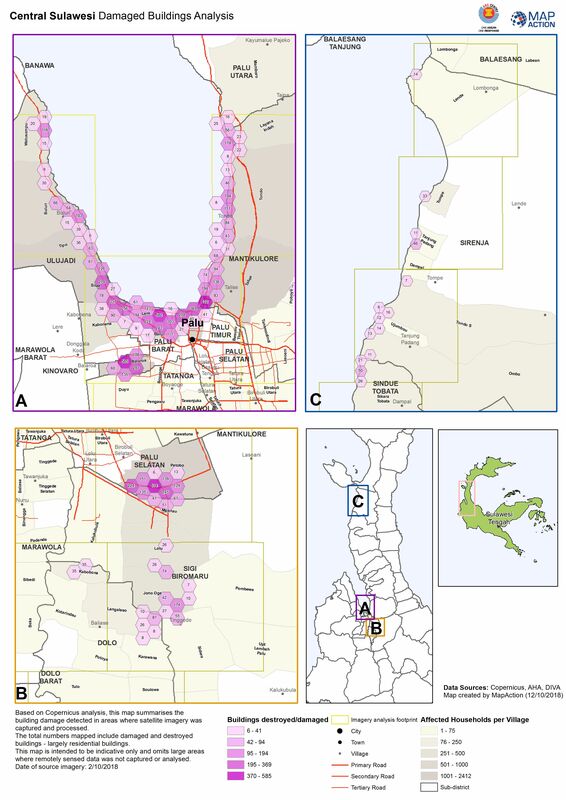 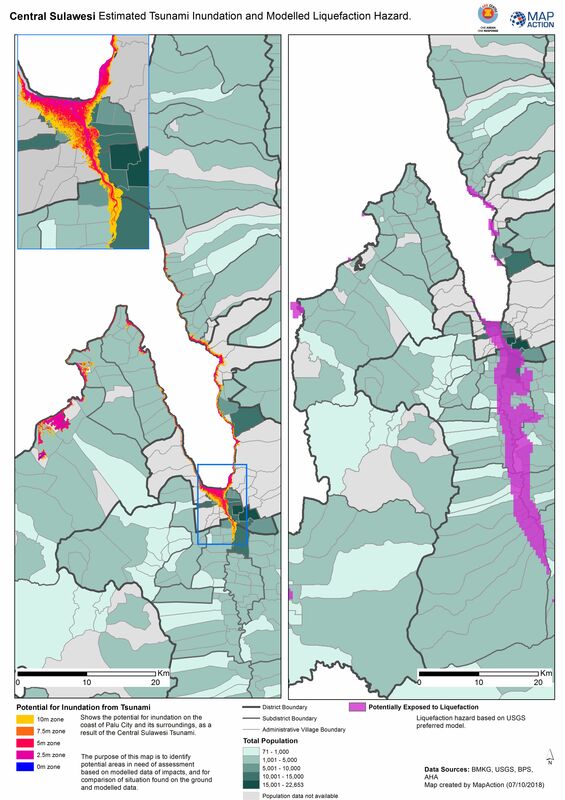 Central Sulawesi: IDP sites within modelled Liquefaction risk areas. 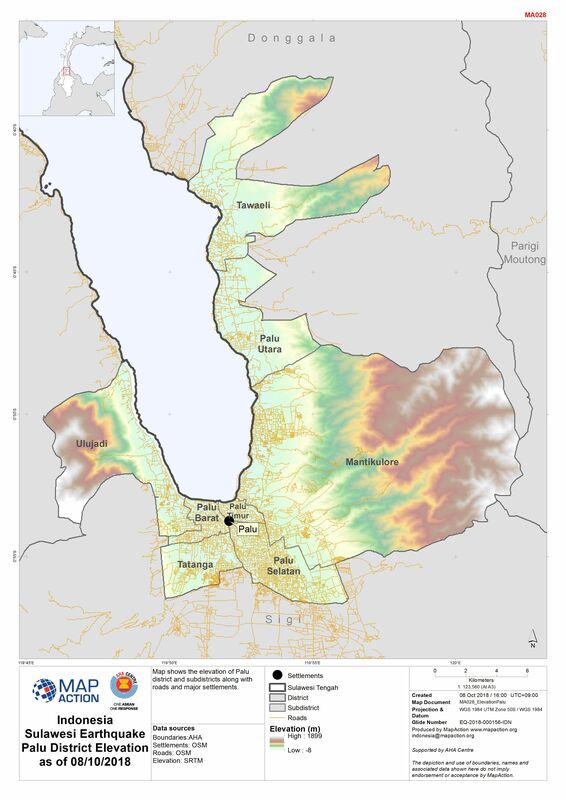 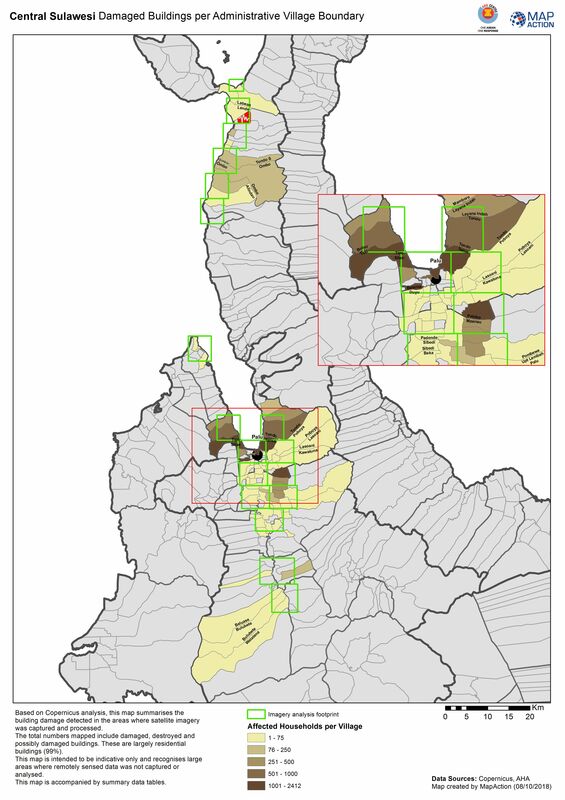 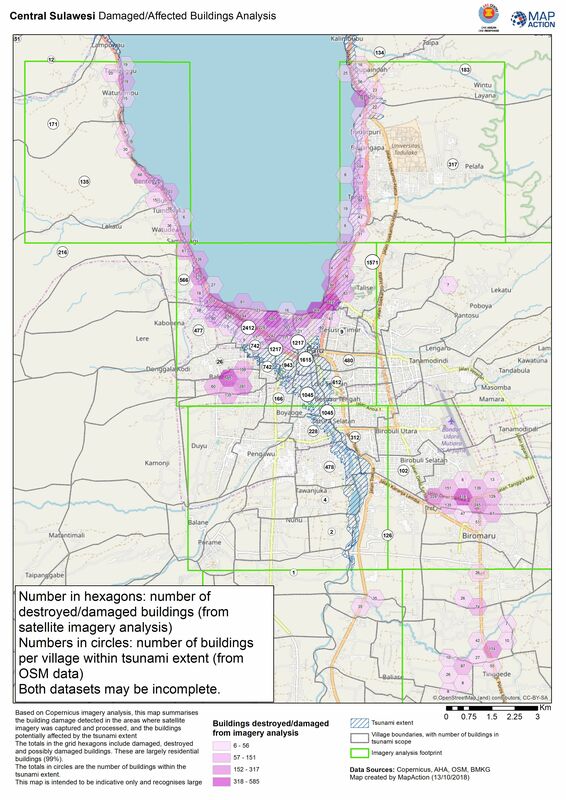 Map shows post-earthquake imagery of Palu region, with overlay showing areas where ground disturbance has been detected by ALOS-2 imagery. 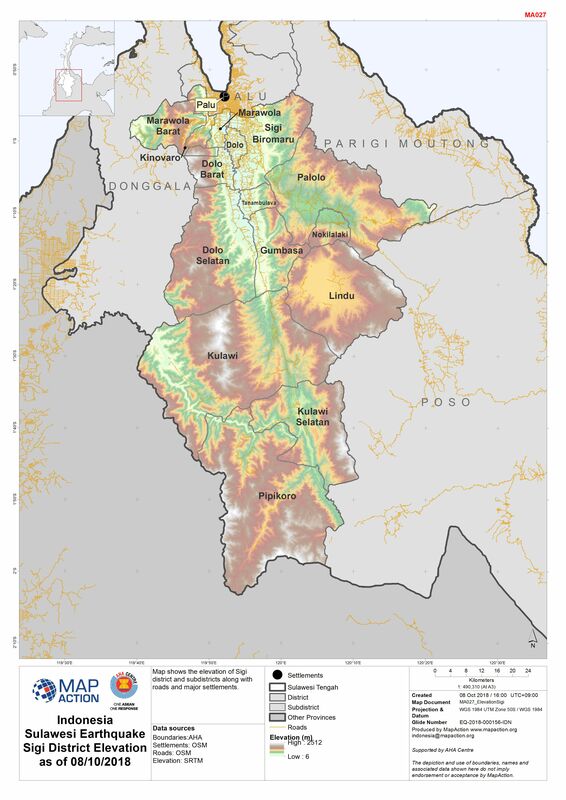 Map shows the elevation of Donggala district and subdistricts along with roads and major settlements. 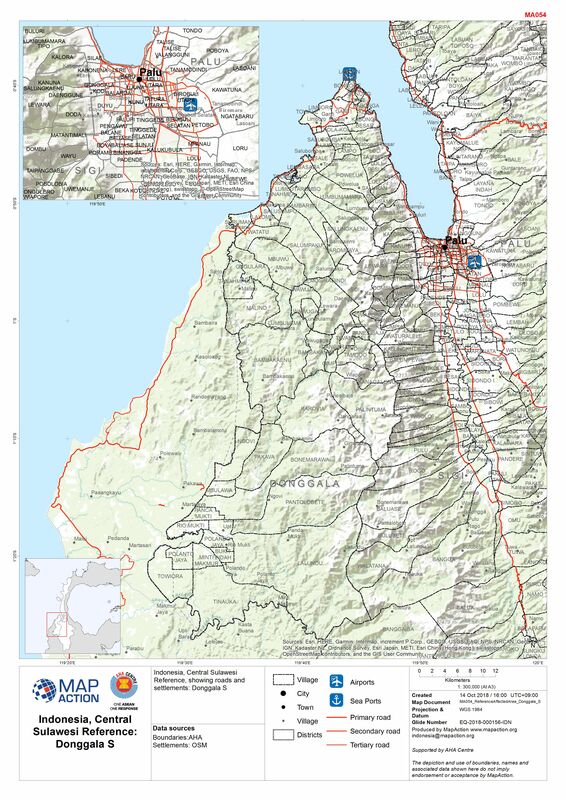 Map shows the elevation of Palu district and subdistricts along with roads and major settlements. 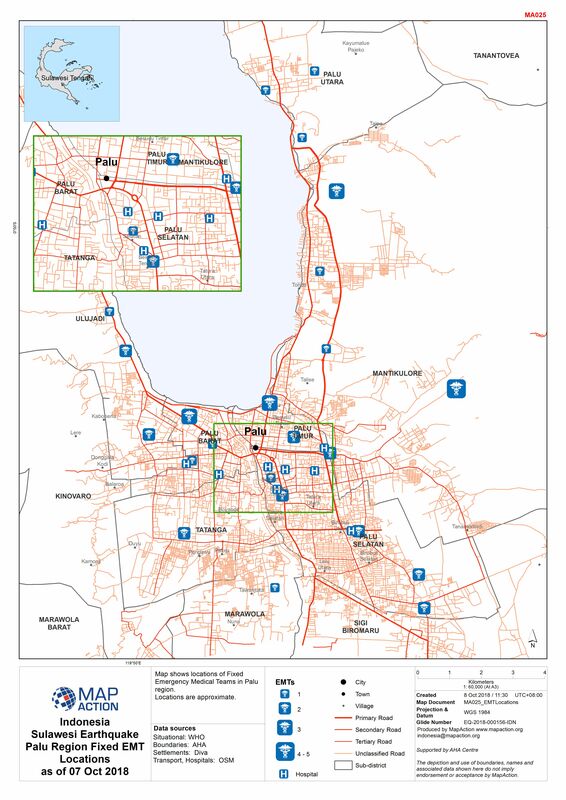 Map shows the elevation of Sigi district and subdistricts along with roads and major settlements. 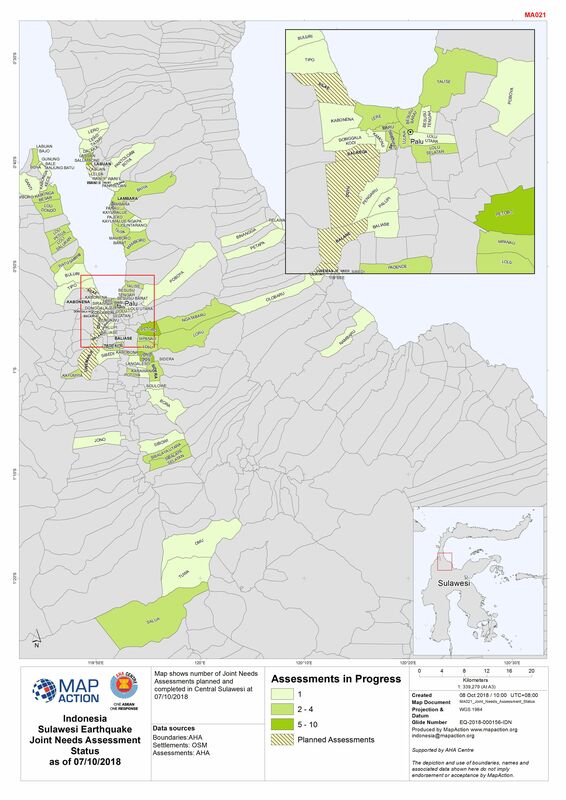 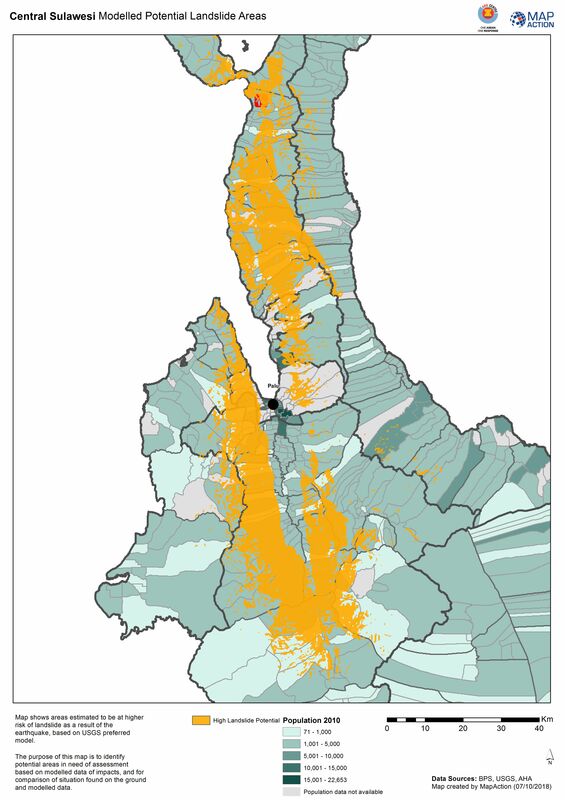 Map shows extent of damage to schools in Palau region, based on satellite data assesment. 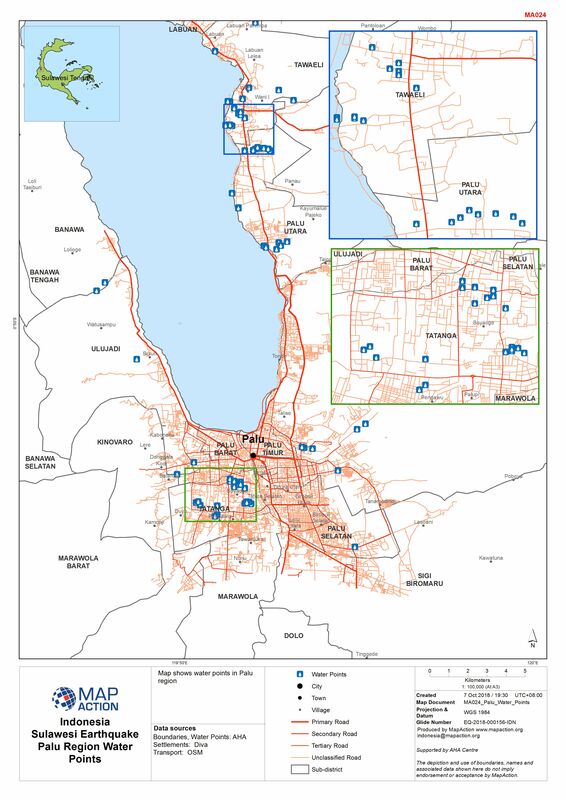 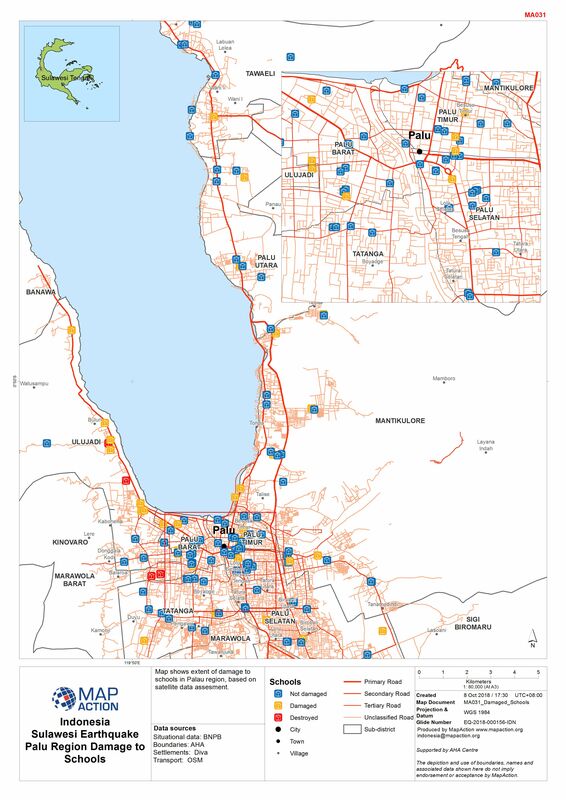 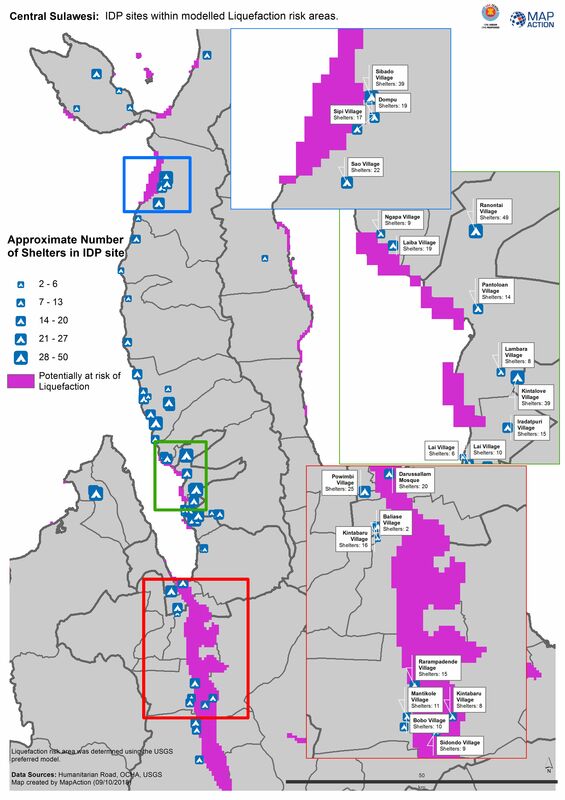 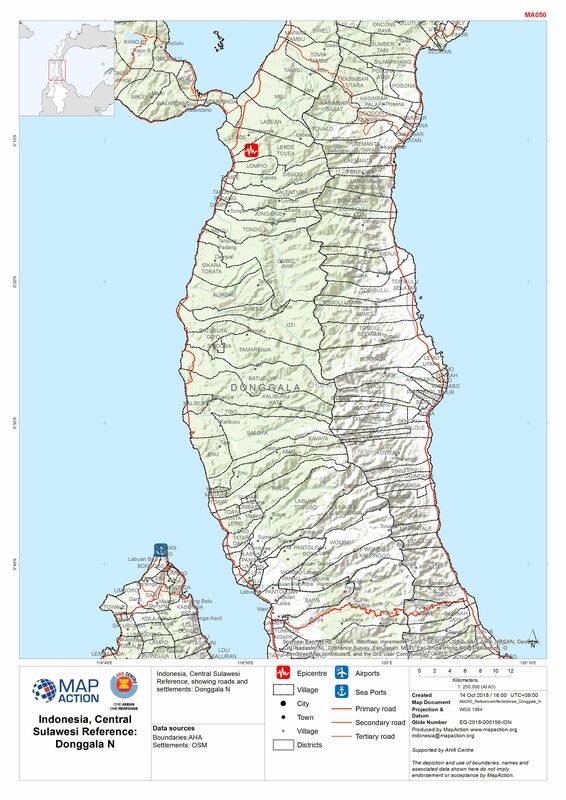 Map shows locations of Fixed Emergency Medical Teams in Palu region. 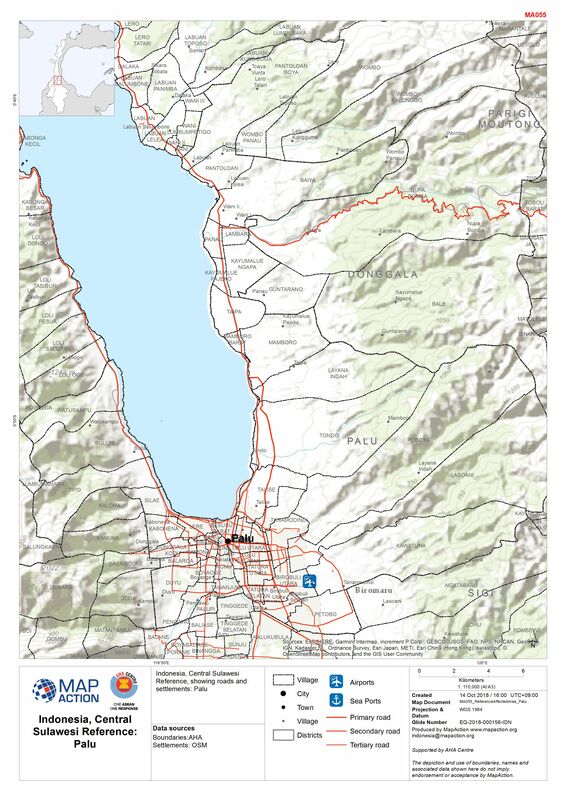 Locations are approximate.